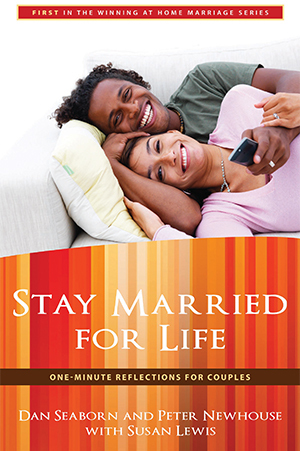 Dan Seaborn and Dr. Peter Newhouse, working with staff writer, Sue Lewis, have compiled a book of devotions that will help to strengthen the foundation of your marriage. These reflections are designed to help you incorporate scripture and prayer while addressing real life issues that arise. Each devotion ends with two thought-provoking questions that will help you start in-depth conversations.